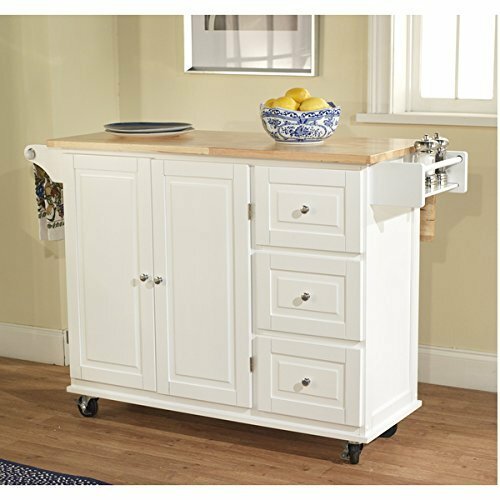 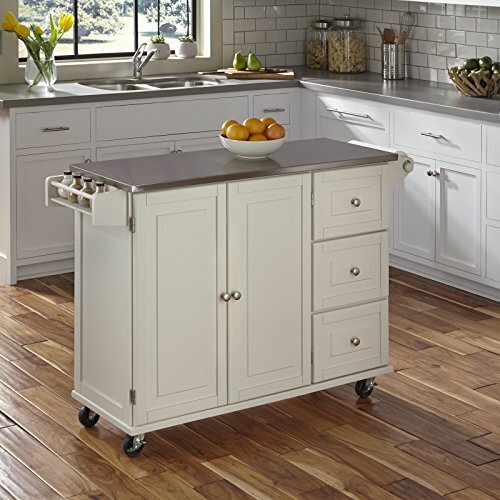 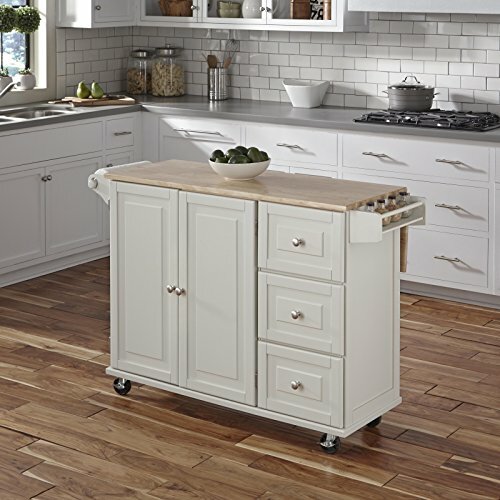 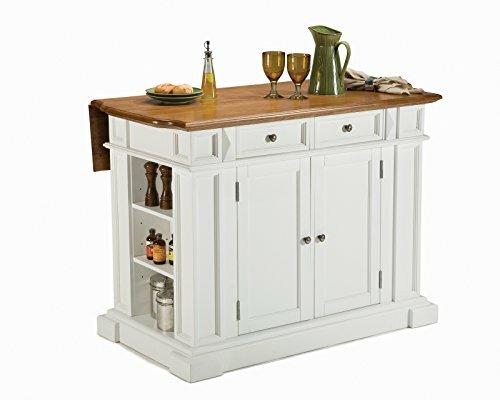 Chefs Helper collection white and natural finish wood top large kitchen storage island with drop leaf. 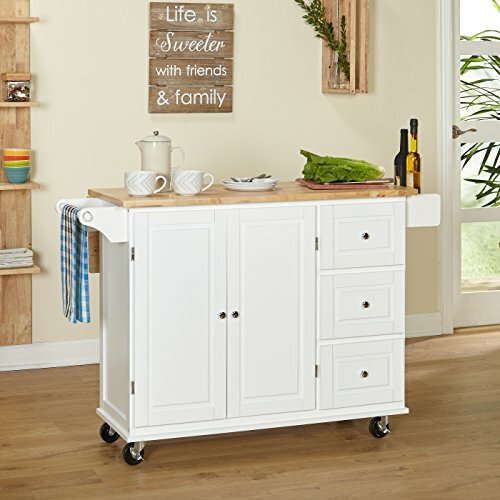 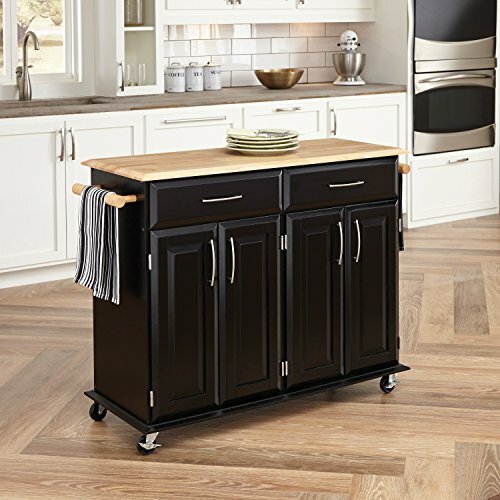 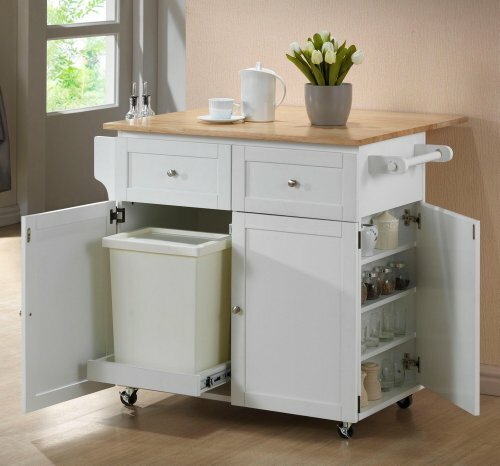 This features 2 side towel racks, one side door spice rack shelf area , storage drawers , and open cabinet for storage with a slide out trash can holder and a side drop leaf. 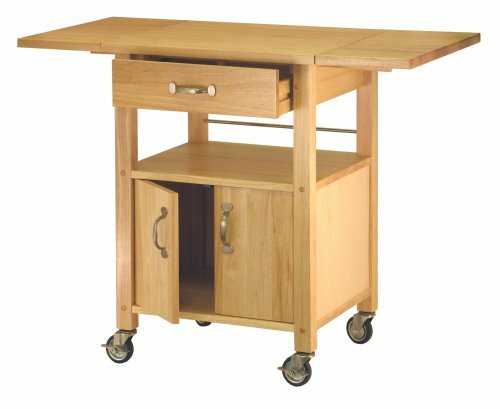 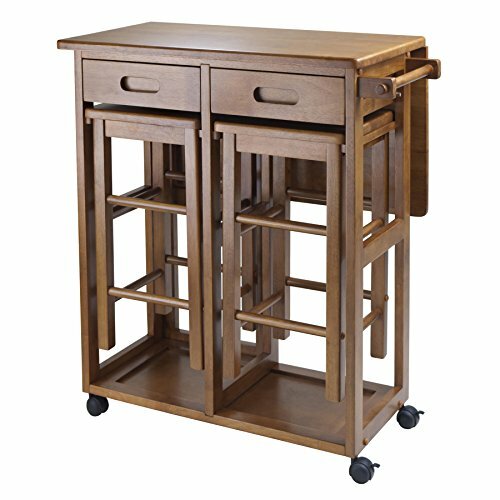 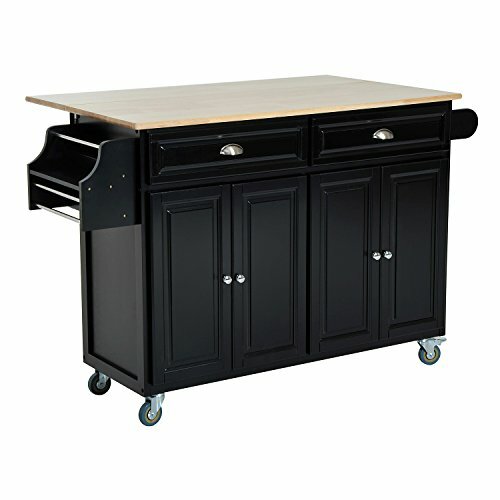 Island measures 35.5" x 21.5" (31.5 with drop leaf up) x 35.5" H. Some assembly required.